The New Orleans Mint delivered a sizeable total of 360,000 Seated Dollars in 1859. Unlike its similarly dated P-mint counterpart, the '59-O does not appear to have been exported in significant numbers. 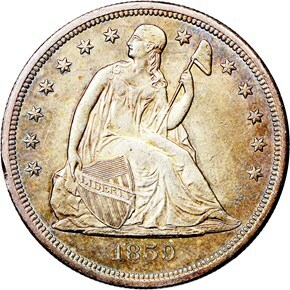 Rather, the majority of the mintage probably saw domestic circulation in the South, but whether this was before the Civil War or during the mid to late 1870s is still a matter of conjecture. 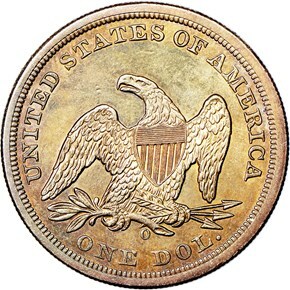 Suffice it to say that the 1859-O is a common coin in all circulated grades, and a popular issue among type collectors. 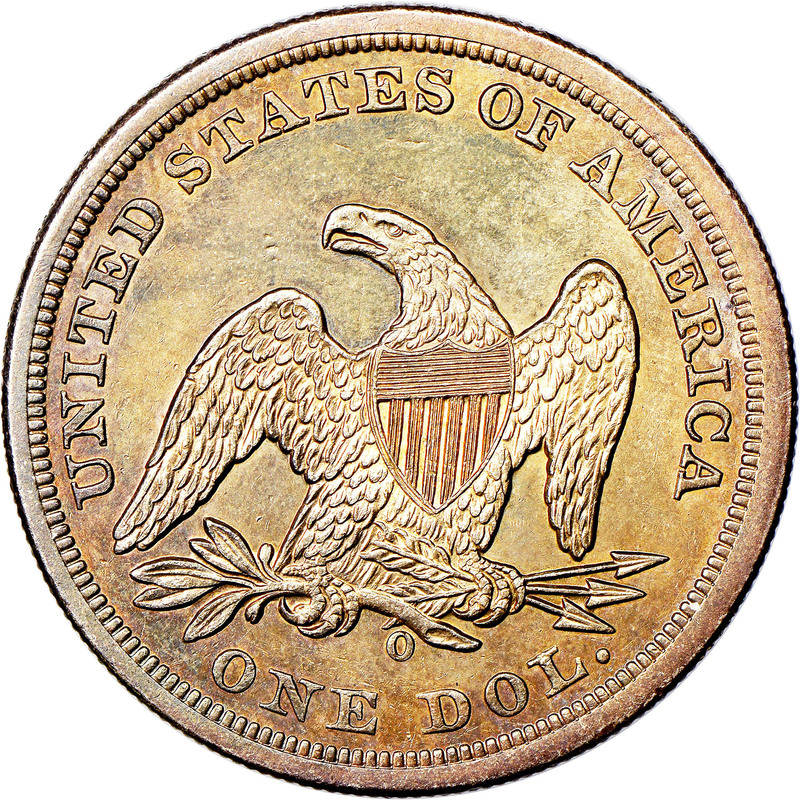 Prior to the Treasury releases of the early 1960s, the 1859-O was a scarce, yet not rare coin in Mint State. 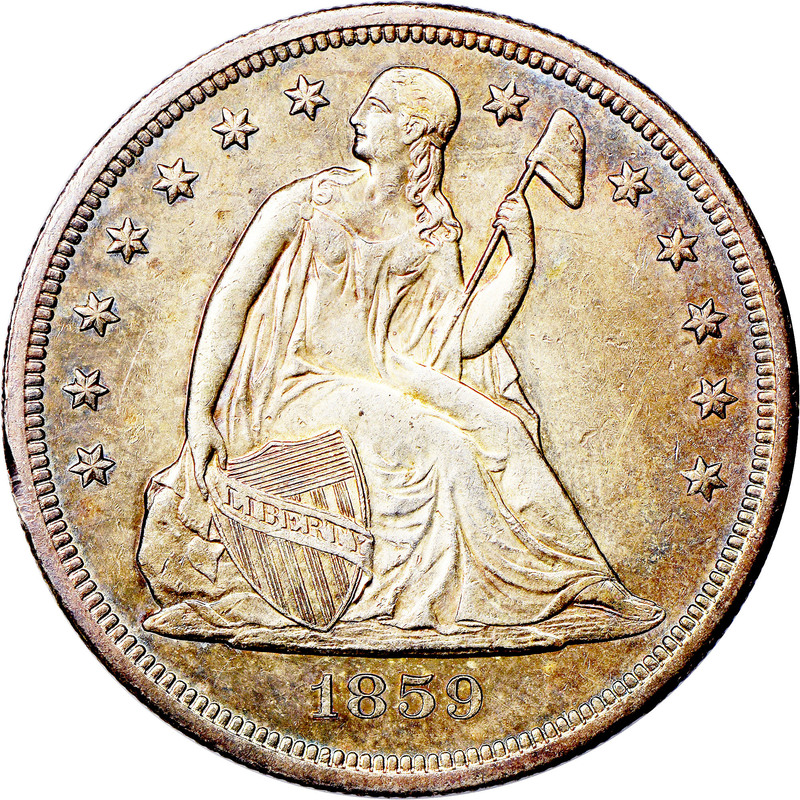 By 1964, however, at least three 1,000-coin bags of Mint State 1859-O Seated Dollars had emerged from Treasury Department vaults and found their way into the hands of the public.